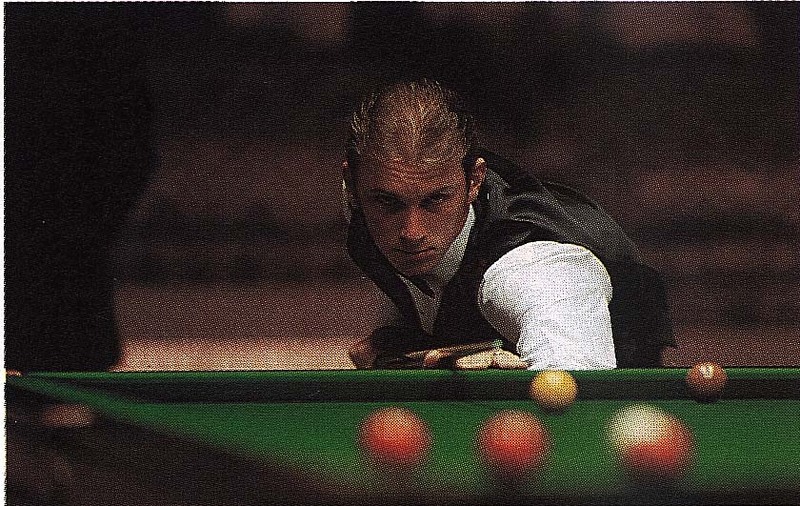 Achievements: Peter Ebdon first rose to stardom when he in his rookie season beat Steve Davis 10-4 in the first round of the 1992 World Championship. That earned him WPBSA's Newcomer of the Year award. In 2002 he managed to win the World Championship after beating Stephen Hendry 18-17 in the final. His nine ranking titles so far are the 1993 Grand Prix, the 1997 Thailand Open, the 2000 British Open, 2001 Regal Scottish Open, 2002 Embassy World Championship, 2004 Citywest Irish Masters, the 2006 Maplin Electronics UK Championship, the 2009 Bank of Beijing World Snooker China Open and the 2012 Bank of Beijing China Open. Among his other titles are the 1995 Rothmans Grand Prix and the 1996 Regal Masters. He was only the second person to have made two maximums in professional tournament play. Peter became the first to make four century breaks in five frames, in the European Open qualifying competition at Blackpool on 6 Sep 1992. He is one of only nine players to have won both the World and the UK Championships.